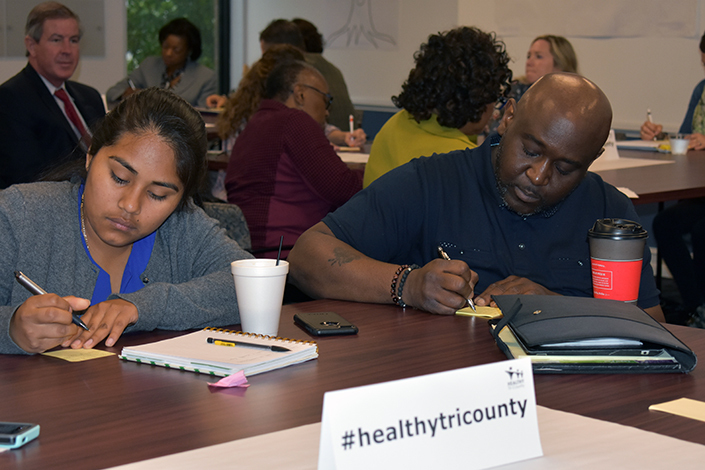 Attendees of Healthy Tri-County's Conversation on Race and Health Equity broke into groups and drew representations of social determinants and equity. 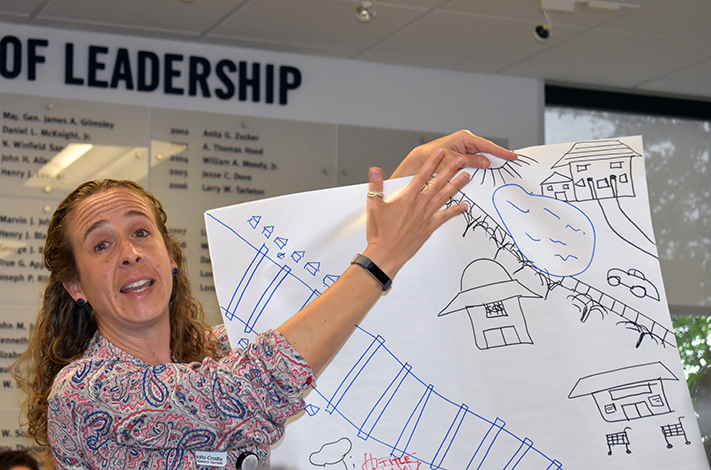 Christina Holtz-Crosby of PASOs shares her groups drawing. 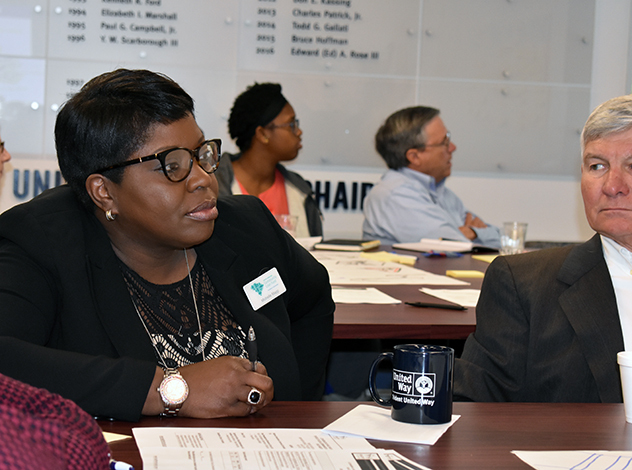 Participants in the Conversation for Race and Health Equity began the session by answering the question "Why am I here today?" 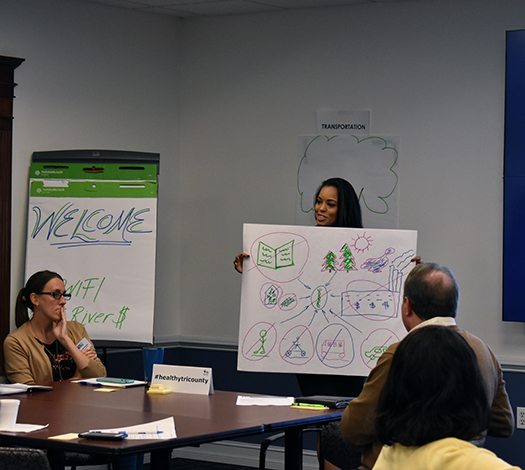 Dr. Ebony Hilton of MUSC shares her group's representation of social determinants and equity. 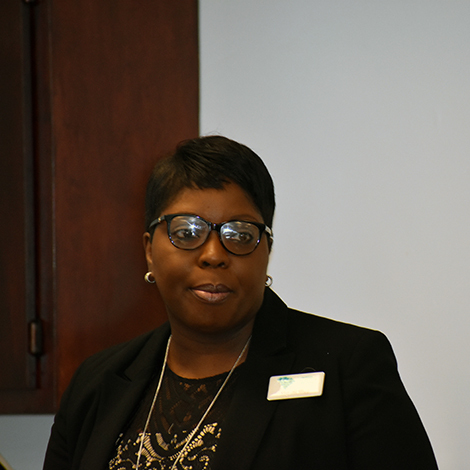 SC Community Loan Fund CEO Michelle Mapp discussed the social determinants of health as it relates to housing. 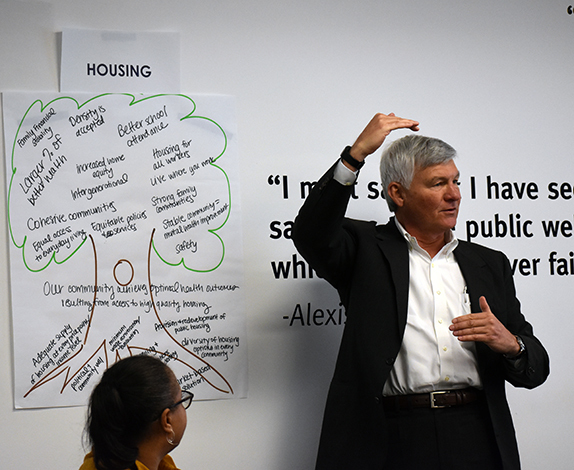 Among these are how the condition substandard housing has physical health impacts and how the location of housing impacts someone's access to goods and services, transportation, etc. 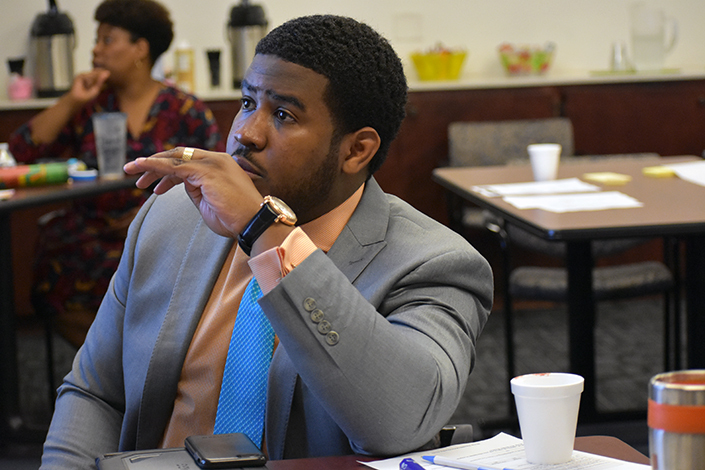 City of Charleston, SC Government's Randall Keith Benjamin II explains how transportation ties directly to race and community. 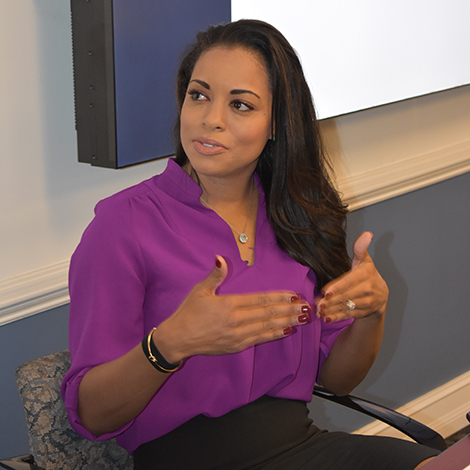 "If we want to change America, we're going to have to change the South. 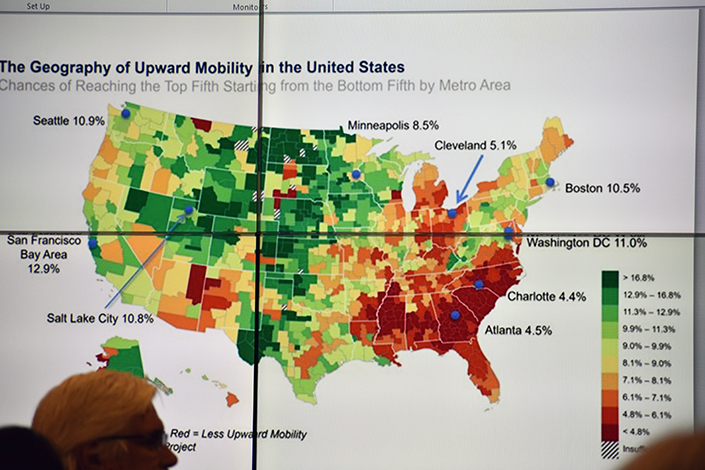 If we want to change the South, we're going to have to change South Carolina," SC Community Loan Fund CEO Michelle Mapp says as she shares a slide on the geography of upward mobility in the U.S. at Healthy Tri-County's Conversation on Race and Health Equity. 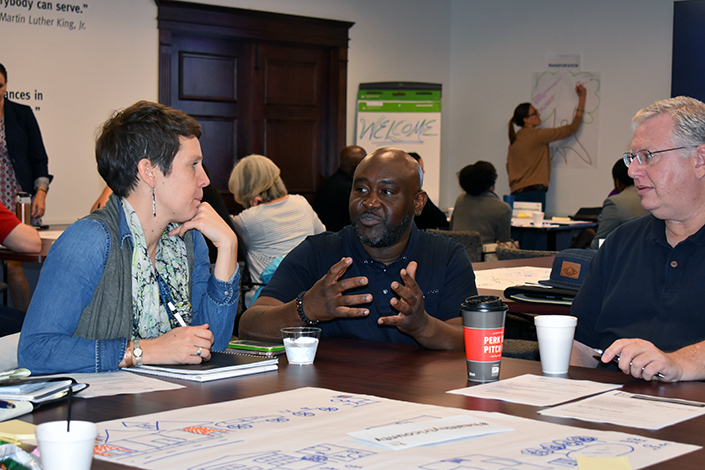 After the panel discussion, attendees of Healthy Tri-County's Conversation on Race and Health Equity broke into small groups to do an appreciative inquiry exercise in identifying the desired state, roots of desired state and positive outcomes in areas like employment, education, housing, transportation and health coverage. 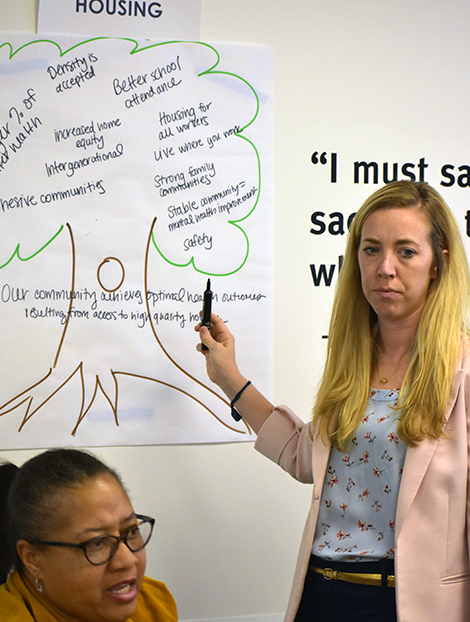 Trident United Way Learning and Evaluation Manager Lyndsey Marchman records the group's positive outcomes in an appreciative inquiry exercise at Healthy Tri-County's Conversation on Race and Health Equity. 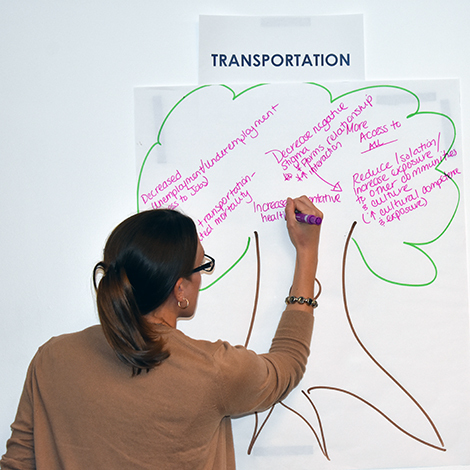 Dr. Ebony Hilton of MUSC weighs in on transportation during the appreciative inquiry exercise at Healthy Tri-County's Conversation on Race and Health Equity. 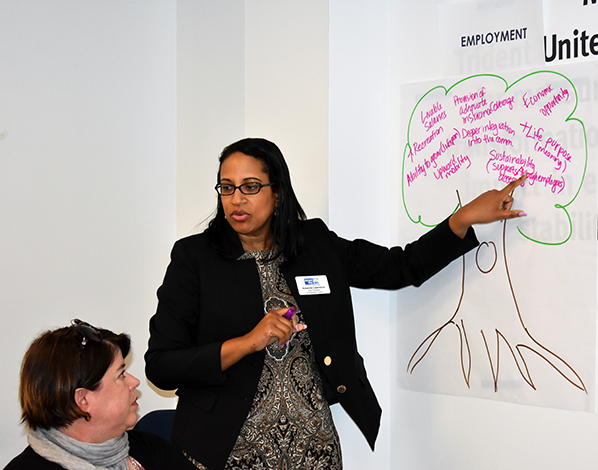 Trident United Way Vice President of Community Impact Amanda Lawrene brainstorms with the group while identifying positive outcomes of the desired state of employment in the Tri-County. 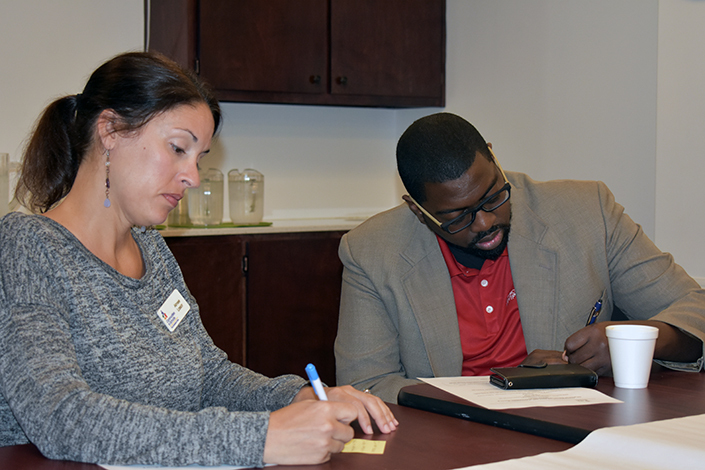 Trident United Way Director of Community Philanthropy Kristen Gandy records the groups thoughts during an appreciative inquiry exercise following the panel discussion at Healthy Tri-County's Conversation on Race and Health Equity. 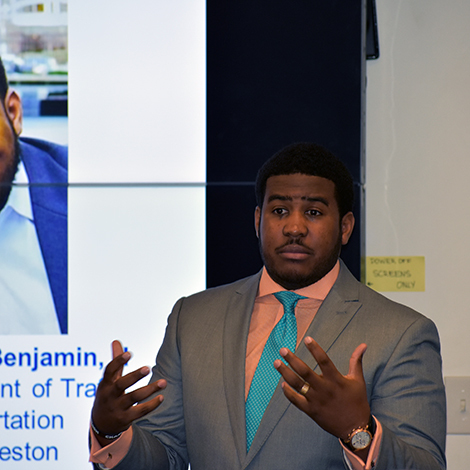 City of Charleston, SC Government's Randall Keith Benjamin II shares that 91% of the roads in Charleston are owned by the state as a group of attendees at Healthy Tri-County's Conversation on Race and Health Equity do an appreciative inquiry exercise on the desired state of transportation in the Tri-County area.